*If you are not able to serve on your scheduled date please find a sub to cover for you. Please refer to parish directory for contact information or you may call the parish office to get contact information. 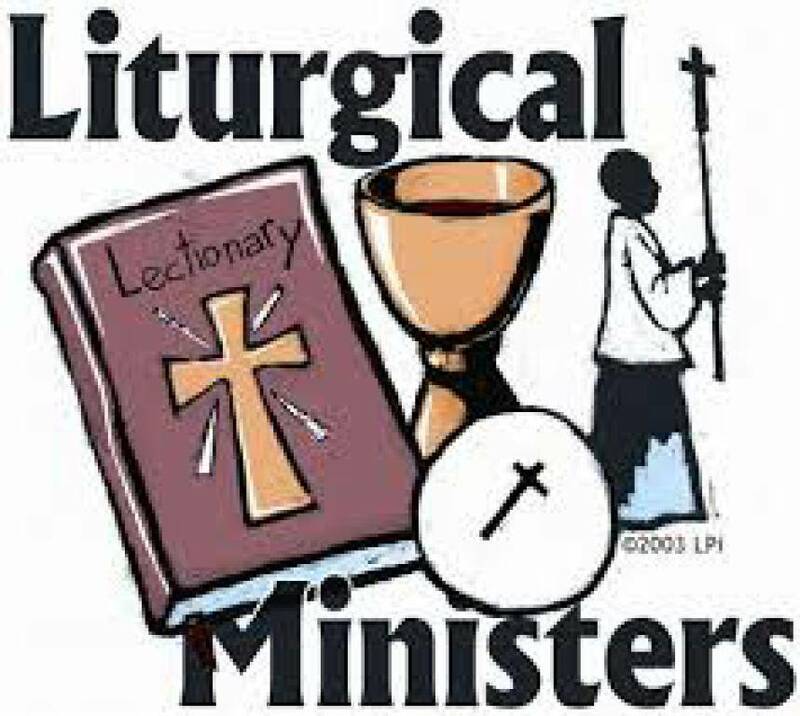 Eucharistic Ministers - Eucharistic Ministers assist the priest with distributing Holy Communion during Mass. Sacristans - Sacristans prepare the vessels, altar cloths and linens used at Mass.